In one of Jefferson County's busiest civil courts, a Republican from Nederland is fighting to unseat a Democrat that has been on the bench for 25 years. Rick Williams, R, is running against incumbent Donald J. Floyd, D, in the race for 172nd Judicial District Court judge. 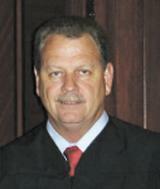 Floyd was appointed as the 172nd Judicial District Court judge by Gov. William Clements Jr. in 1989. He won election to the bench on his own in 1990, becoming the first African American to be elected a district judge in Jefferson County. On the Eighth Day Before Election financial report from the Texas Ethics Commission, Floyd showed $34,400 in total political contributions, expenditures of $34,567, and $60,828 in Total Contributions Maintained as of the Last Day of the Reporting Period. As the Southeast Texas Record previously reported, Floyd has been getting most of his campaign money from lawyers and law firms that often do business in his court. He has received $15,000 single donations each from Provost Umphrey Law Firm; Reaud Morgan & Quinn and Wayne Reaud and Associates. On Oct. 27, Houston trial attorney Steve Mostyn and his wife Amber each made $2,500, while the Mostyn Law Firm donated $2,500 the same day. On Oct. 24, Floyd got a boost from The Byrd Law Firm in Beaumont with a donation of $7,500, and Weller Green Toups & Terrell LLP with a $5,000 donation. Floyd, 71, is a native of Port Arthur. He received a bachelor of arts degree from Dillard University in New Orleans, La., and a Juris doctorate degree from the Thurgood Marshall School of Law at Texas Southern University in Houston. He is a past chairman of the Beauchamp District Three Rivers Council of the boy Scouts of America and the Southeast Texas Regional Planning Commission Criminal Justice Advisory Committee. He has served on the Board of Directors for the Jefferson County Bar Association, Sacred Heart Children’s World, Cerebral Palsy Foundation of Beaumont, East Texas Legal Services Association and many others. Williams has been practicing law for 21 years. In 2006, he served for a year as judge in one of Jefferson County's family courts when was appointed by Gov. Rick Perry to fill an unexpired term on the 279th District Court after the presiding judge died. According to the final finance report released Oct. 25, Williams received $67,395 in total campaign contributions, mostly from area businesses. During October, Williams received $2,500 contributions, the limit for an individual contribution in a judicial campaign, from Lonnie Arrington, president of Fabricon International; Will Crenshaw of Tiger Industries; Don Eastveld of the National Realty Group; Ralph Ellis of Ellis Carthage Inc.; Doug Foshee of Sallyport Investments; Alan Hassenflu of Fidelis Realty Partners; Michael Manners of Elan Development LP; Kendall Miller of Tanglewood Corp.; John Nau III of Silver Eagle Distributors; Robert Parker of Repcon Inc.; Michael Plank of the Plank Companies; Pat Rutherford of Rutherford Oil Corp; Dr. Leldon Sweet, a Beaumont cardiologist; and Dr. Thomas Clifton of Victoria. He also got support from Texans for Lawsuit Reform PAC with a $2,500 contribution; Texas Bi-Partisan Justice Committee, $2,500; Richard Trabulsi, a Houston businessman and a leader of Texans for Lawsuit Reform, $2,500; and Richard Weekley, co-founder and CEO of Texans for Lawsuit Reform. Williams, 58, is a Port Arthur native and longtime resident of Nederland is the past president of the Nederland Chamber of Commerce and Rotary Club, and the past chairman of the Nederland Education Foundation and the Jefferson County Chamber of Commerce Legislative Response Team.